WASHINGTON (CN) – Former Tour de France champion Lance Armstrong has agreed to settle a lawsuit with the federal government stemming from his use of performance enhancing drugs while competing for a cycling team the United States Postal Service sponsored, the Justice Department announced Thursday. Armstrong will pay $5 million as part of the settlement agreement, which brings to a close a nearly eight-year-old court battle that started when a former teammate came forward with allegations that the iconic cyclist doped during his historic run. 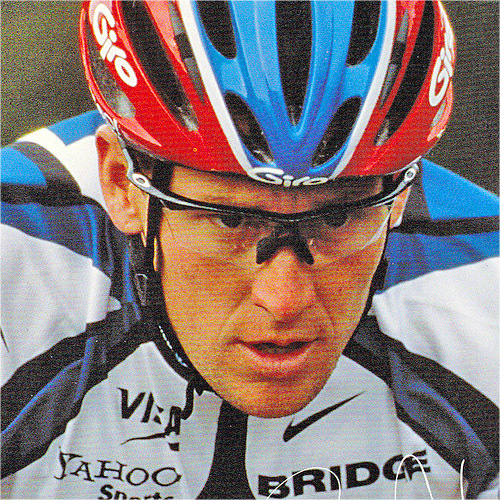 Armstrong won the Tour de France each year from 1999 to 2005, but had all seven titles stripped after the U.S. Anti-Doping Agency in 2012 found he and his teammates had used performance enhancing drugs. Armstrong’s former teammate, Floyd Landis, originally brought the lawsuit in June 2010, with the government stepping into the case using a provision in the False Claims Act that allows private parties to bring lawsuits for the government in exchange for a share in any money that comes from it. As a result, Landis will receive $1.1 million as part of the settlement, according to the Justice Department. The lawsuit against Armstrong claimed that he lied about his use of performance enhancing drugs, both publicly and privately, and earned more sponsorship dollars from the USPS as a result. It also claims Armstrong lied during an arbitration proceeding in 2005 and helped cover up his doping by threatening lawsuits against people who accused him. In a statement on Thursday, Armstrong called the lawsuit “meritless and unfair,” but that he was relieved to end the case.